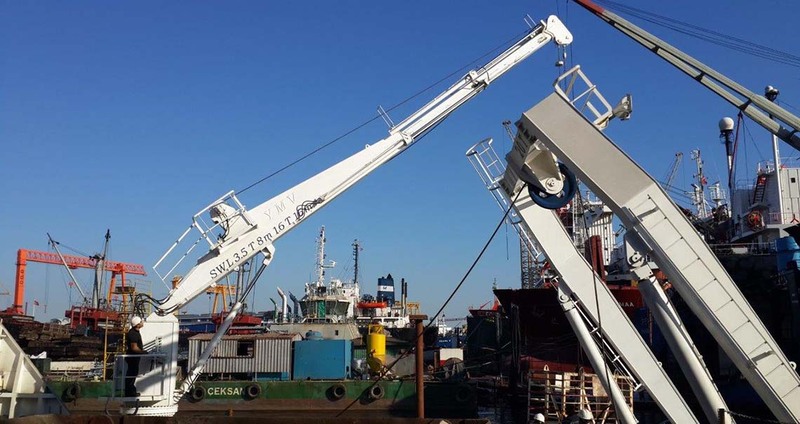 Electro hydraulic driven YMV telescopic boom cranes capacity range is between 1-30 t, boom outreach is between 4-30 Meter, pedestal diameter is between 600-2.000 mm. Operator control platform is located on the crane, cabinet is optional. By load control and angle control functions safe operations can be achieved(MOPS and AOPS). 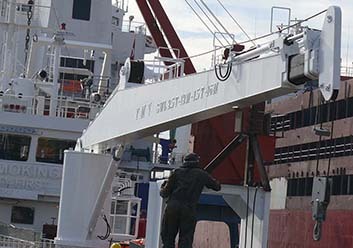 YMV telescopic boom cranes allow the customers to optimize the use of their deck area, occupies less space when closed.